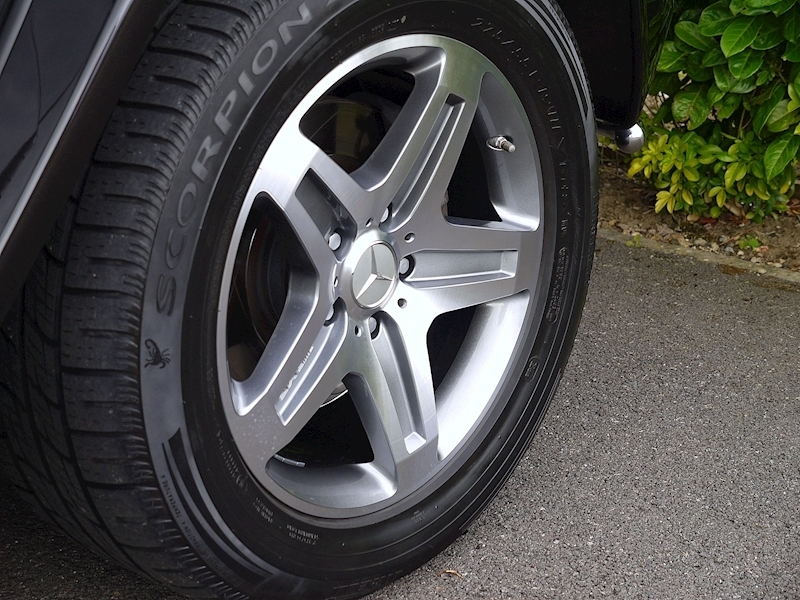 19" AMG 5 Spoke Alloy Wheels Painted In Titanium Grey with High Sheen Finish. 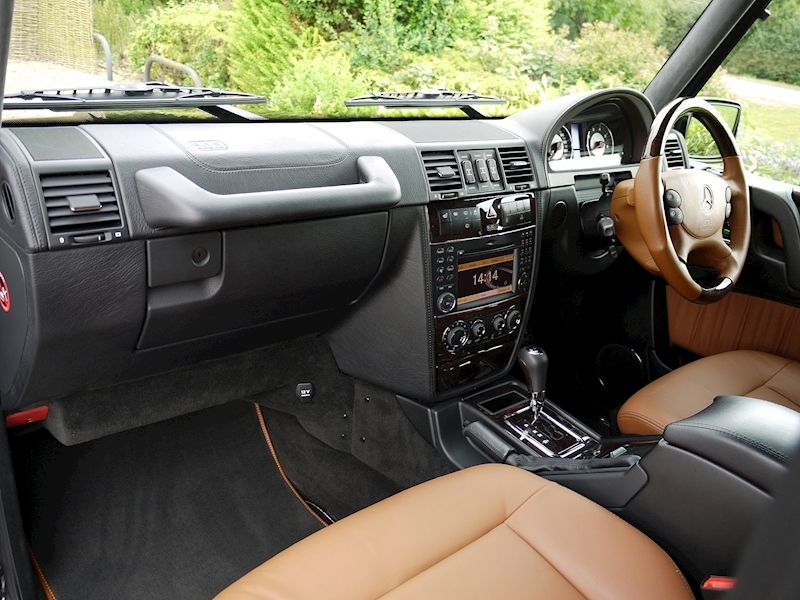 COMAND - Satellite Navigation System. 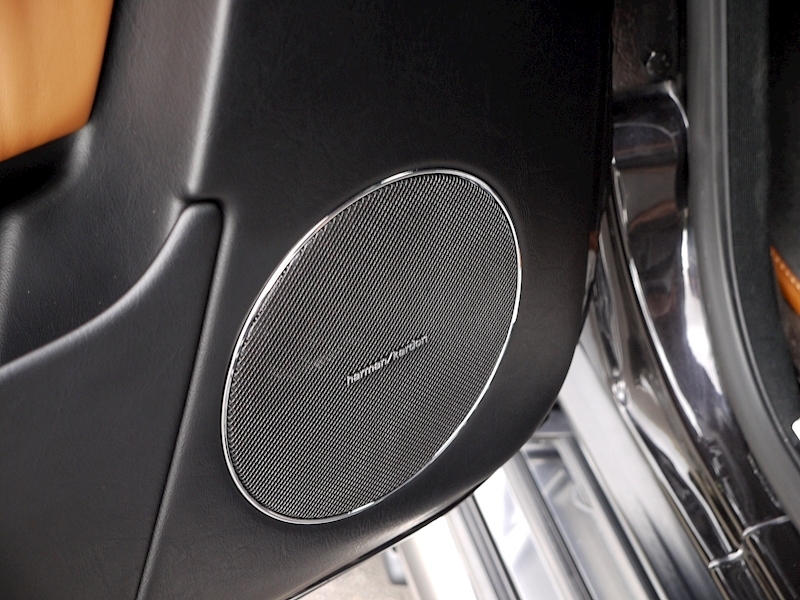 Harman Kardon Logic 7 Surround Sound System. 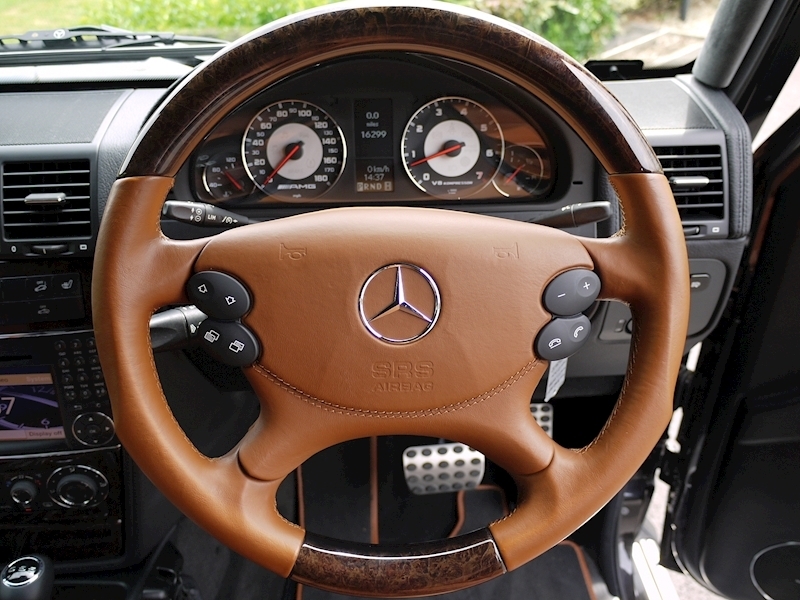 BRABUS Steering Wheel in Designo Light Brown Leather and Precious Wood - Ahorn Maser Umbra. 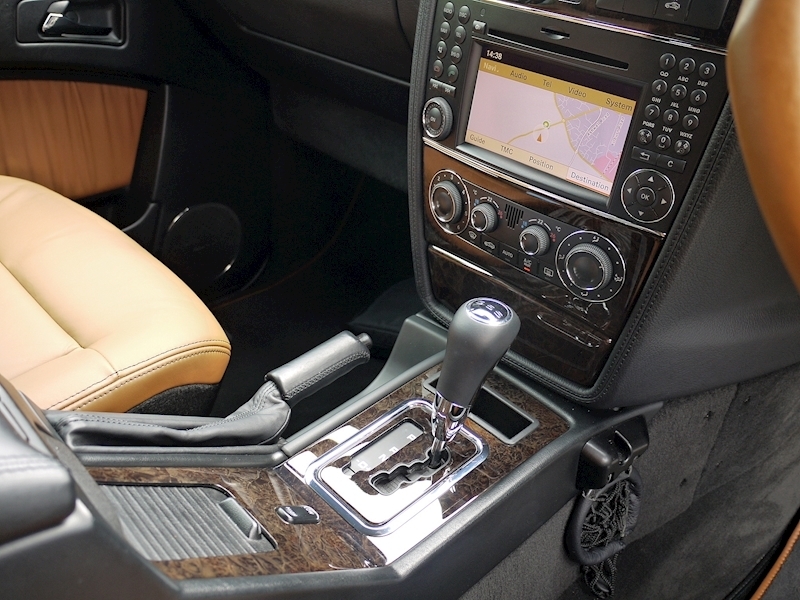 BRABUS Interior Trim Finishers and Gear Selector Lever in Precious Wood - Ahorn Maser Umbra. 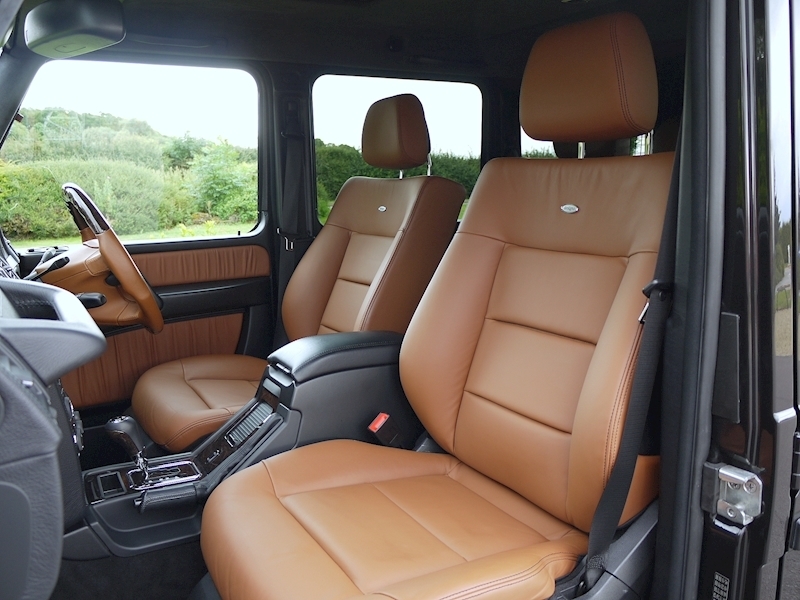 Anthracite Alcantara Headlining. 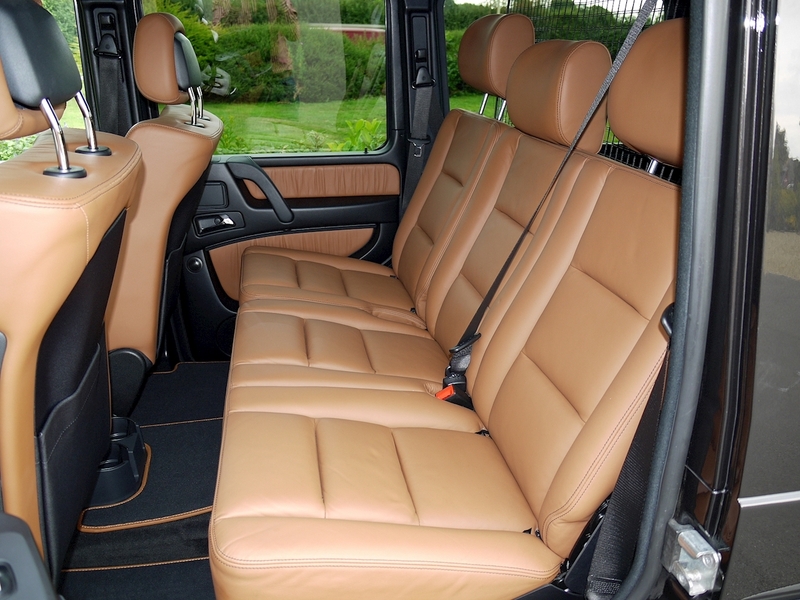 Heated Front and Rear Seats. 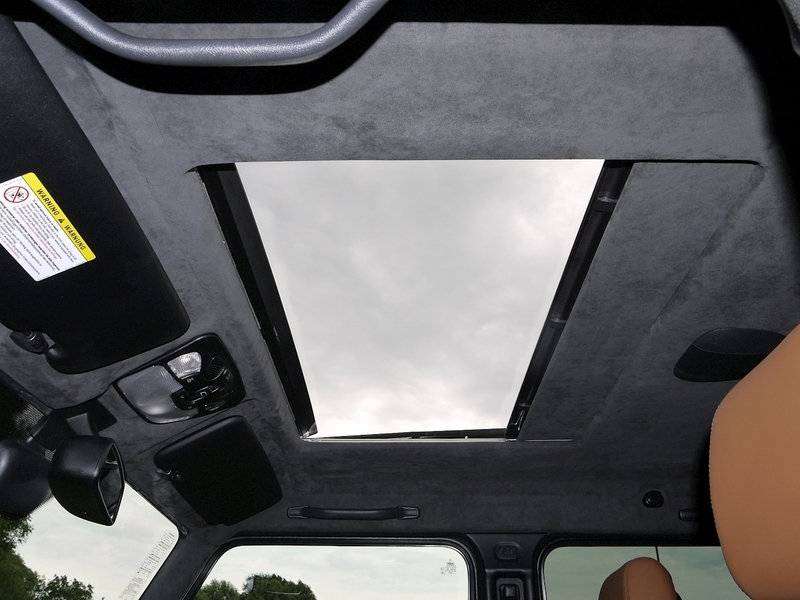 Electric Sliding Sunroof. 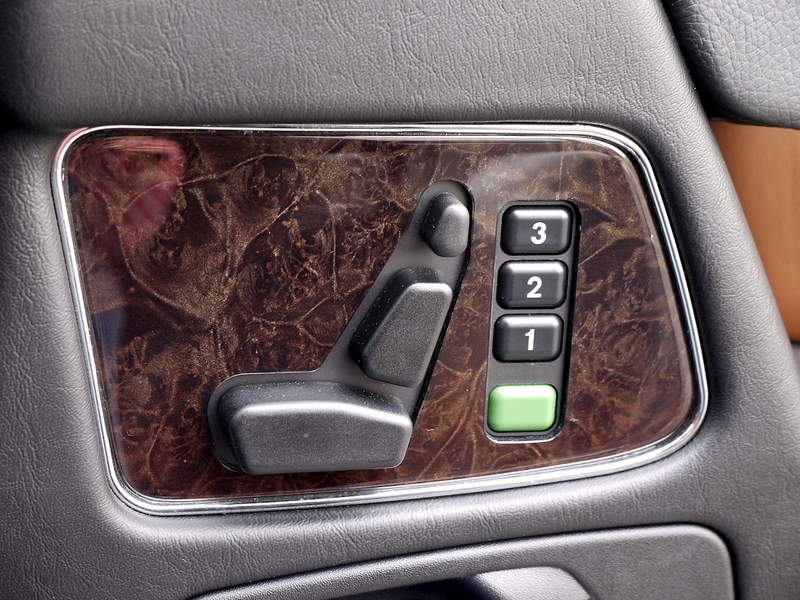 Pre-Installation for Mobile Phone including iPod Interface. 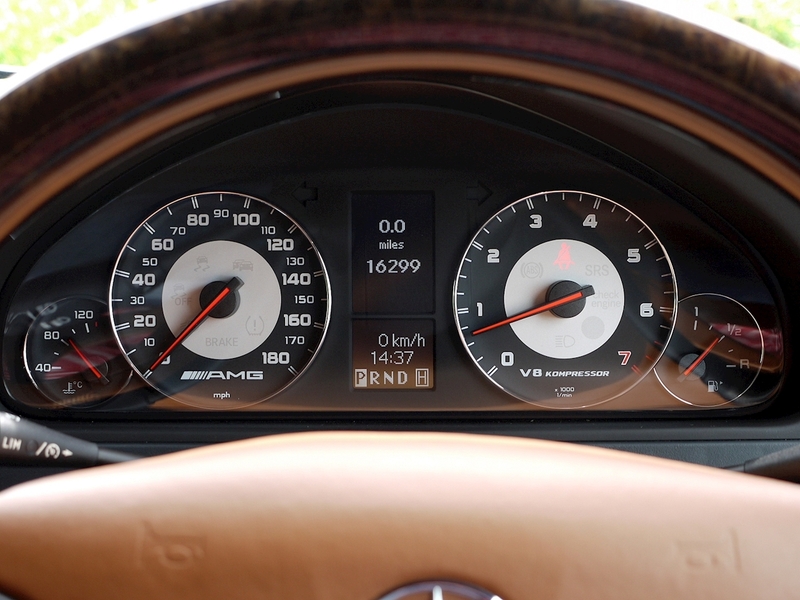 Ambient Lighting. 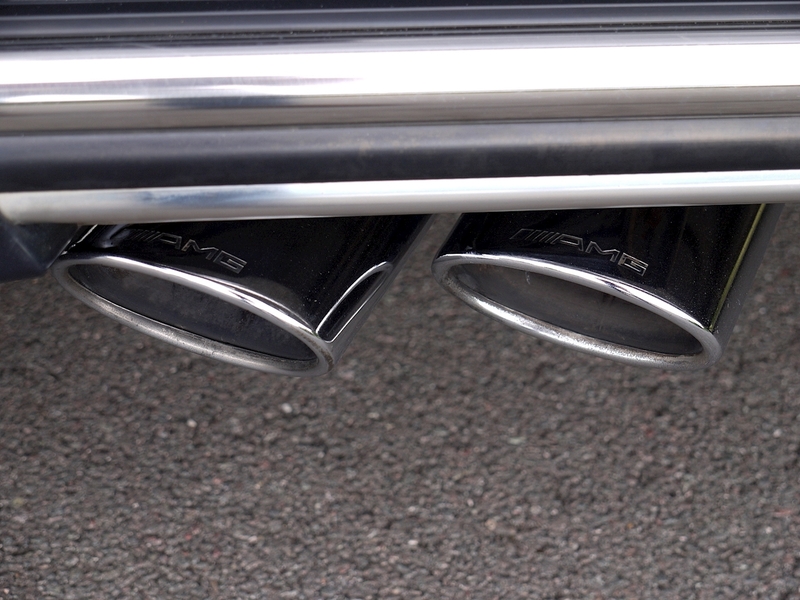 Rear Parking Sensors. 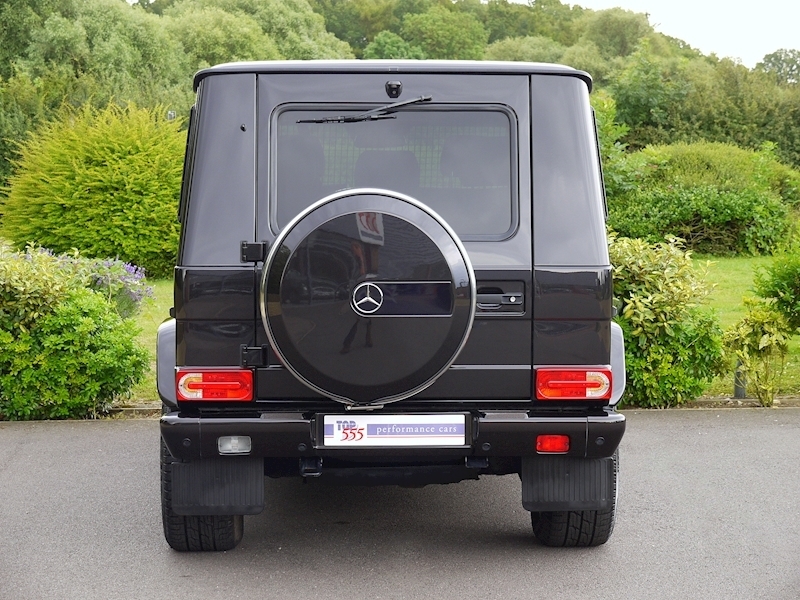 Rear Parking Camera. 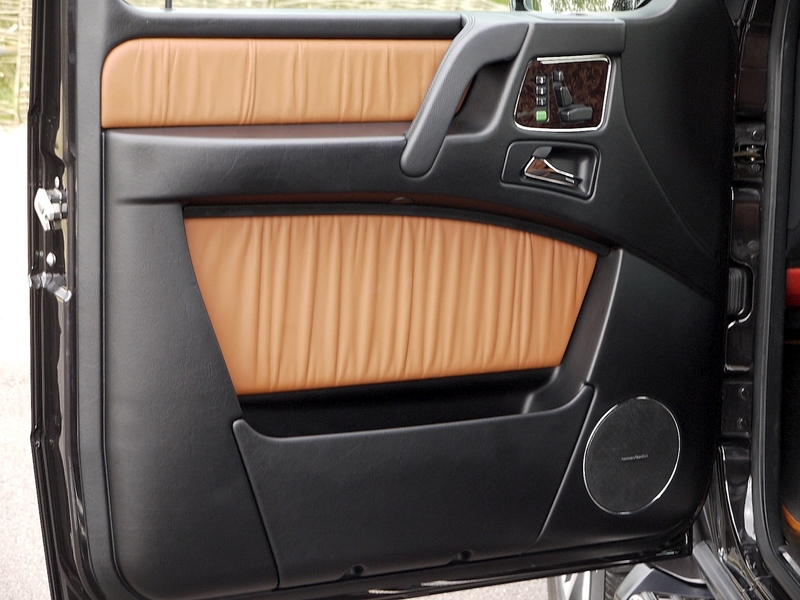 Cup Holders Front and Rear. 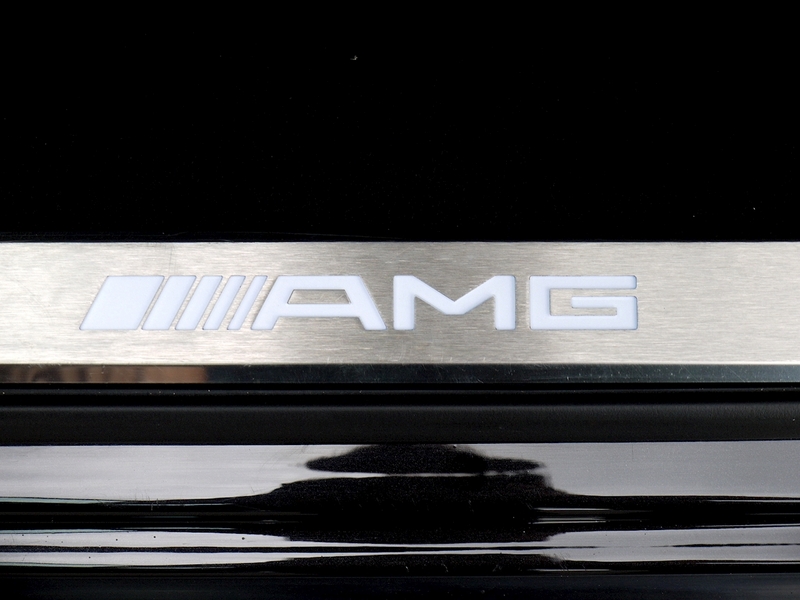 Heated Windscreen. 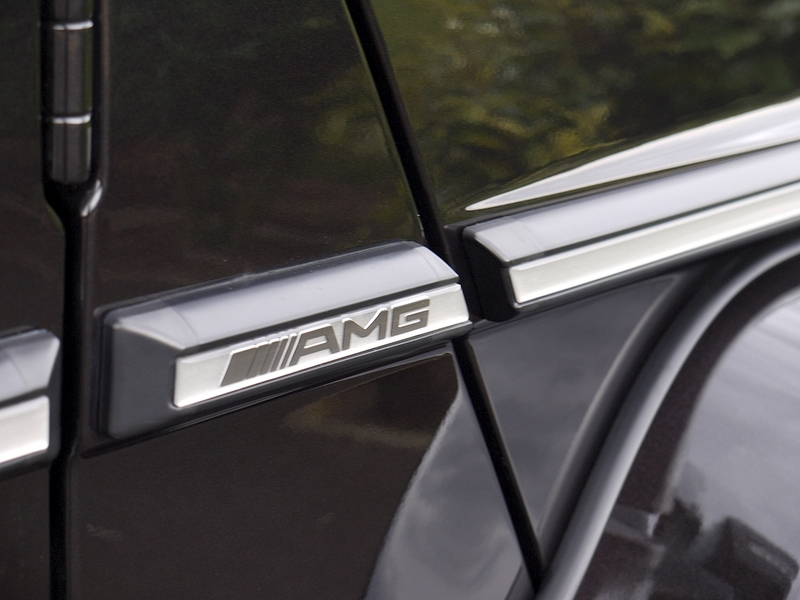 Illuminated 'AMG' Door Sill Guards in Aluminium. 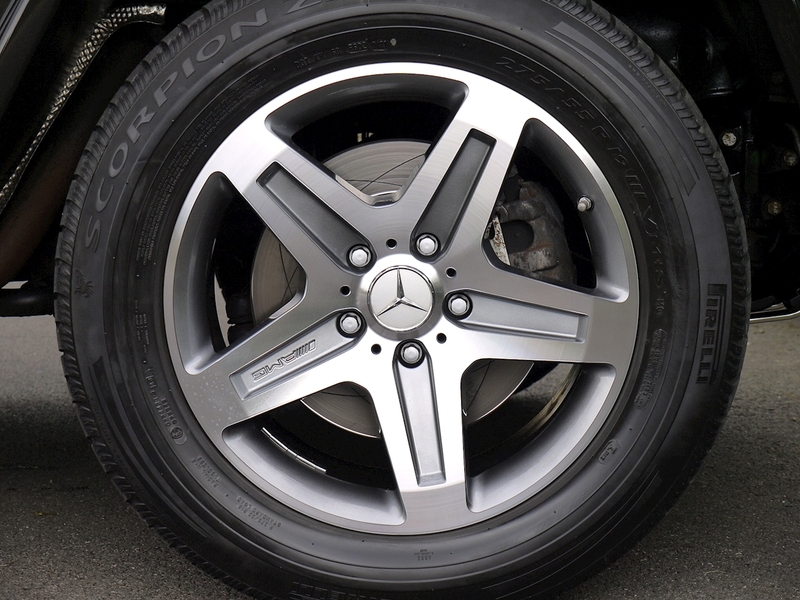 Tyre Pressure Monitoring System. ISOFIX Child Seat Attachment Points. 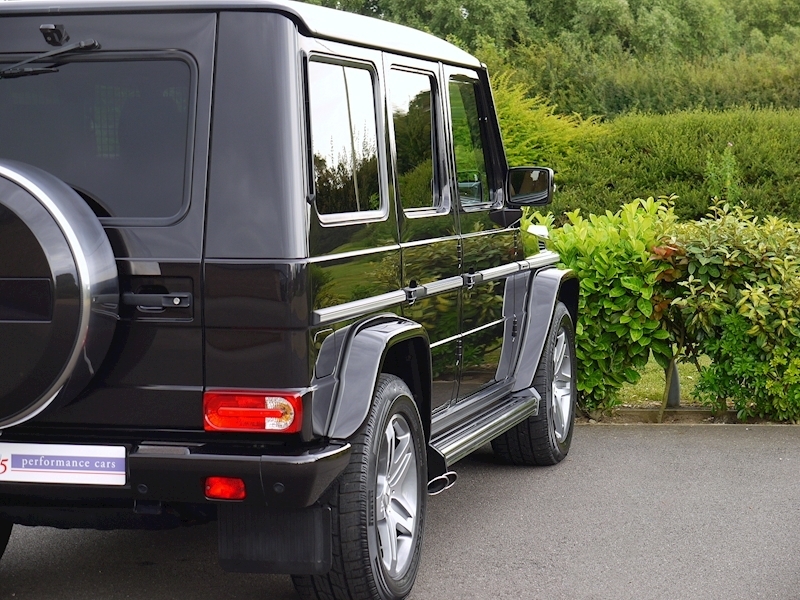 Heat Insulating Privacy Glass. 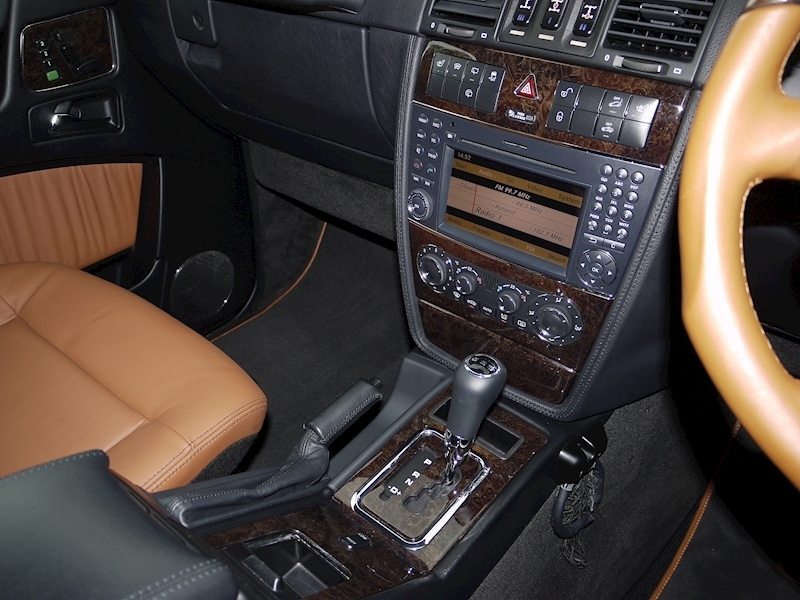 Designo Leather Bound Floor Mats. 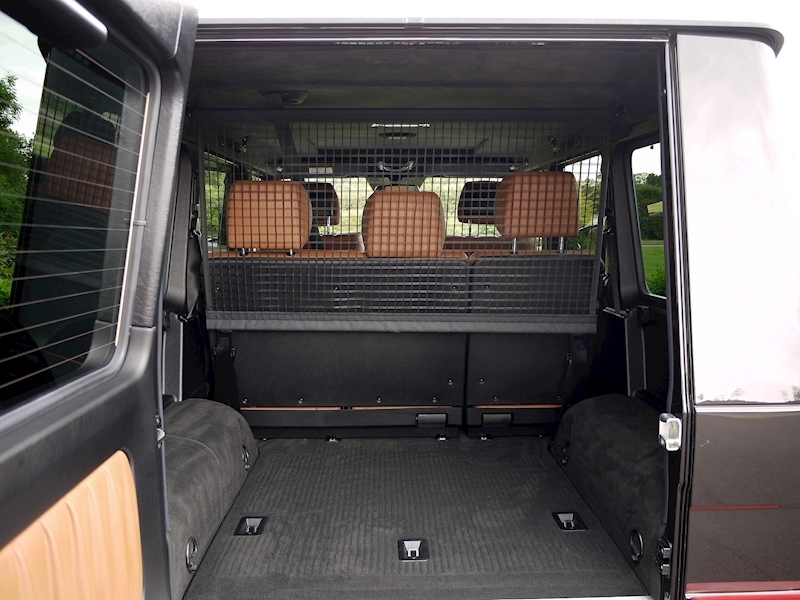 Load Compartment Cover. 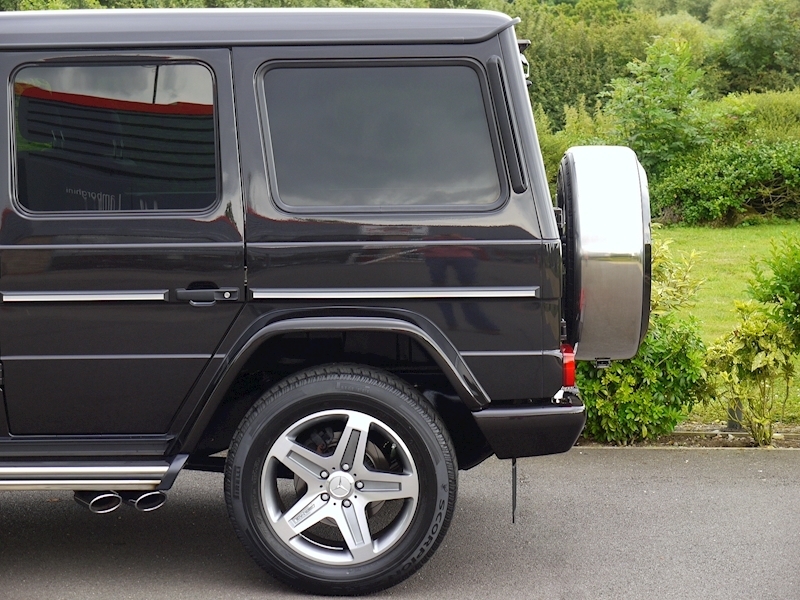 Chrome Lower Front Bumper Bar and Sump Guard. Exterior Stainless Steel Styling Package Consisting of Side Running Boards in Stainless Steel and Stainless Steel Spare Wheel Cover with 3D Mercedes-Benz Star. 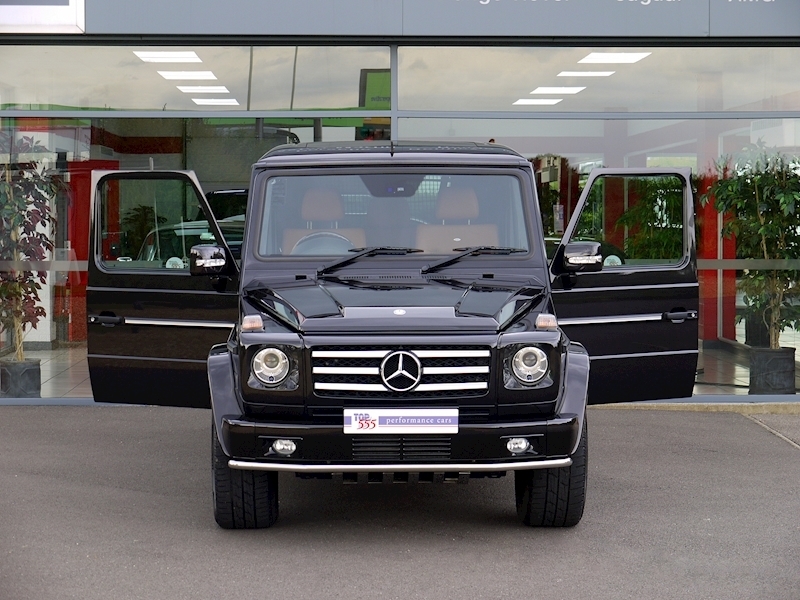 Chrome Package Consisting of Radiator Grille with Chrome Inserts, Chrome Trim for Gearshift Lever Frame, Chrome Trim for Seat Adjustment Switch and Loudspeakers in Front Doors, Chrome Scratch Guard for Load Compartment Sill with 'Mercedes-Benz' Lettering. 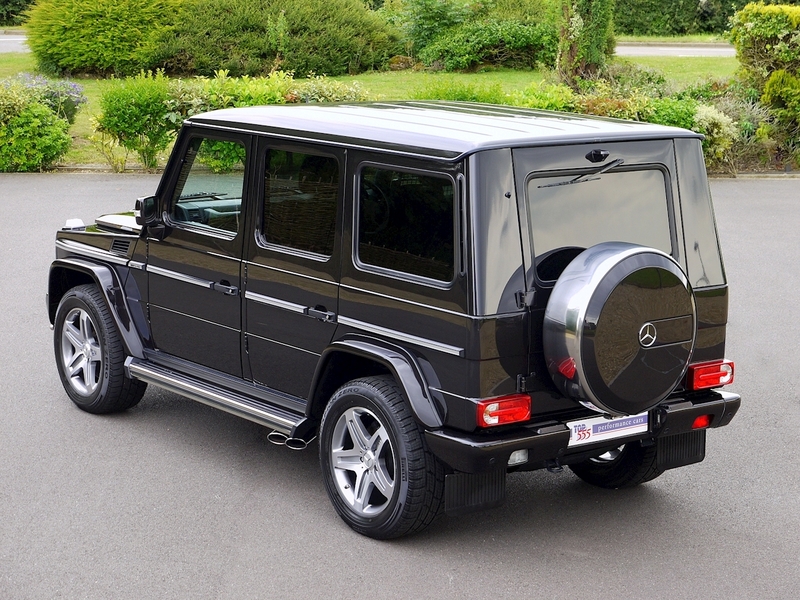 Impeccable Full Mercedes-Benz Service History from New. Benefits from a Full Service Having Just Been Carried Out By Mercedes-Benz. 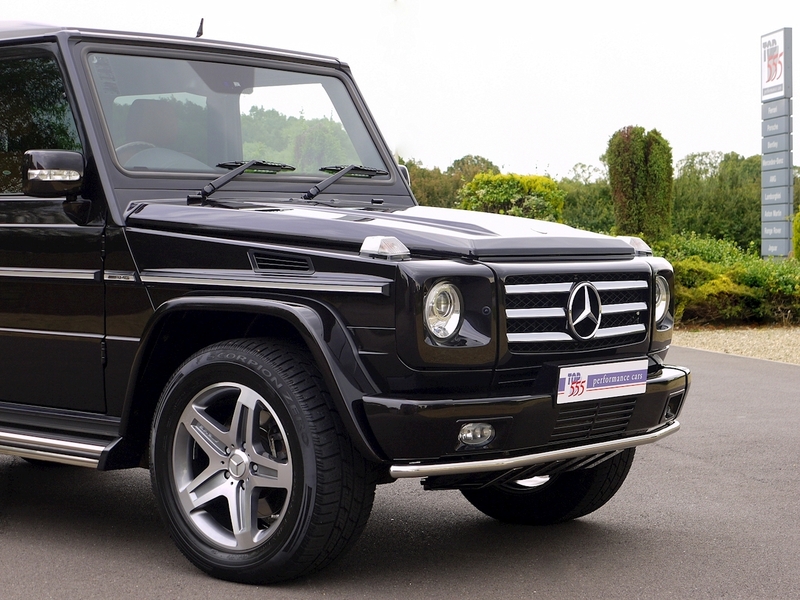 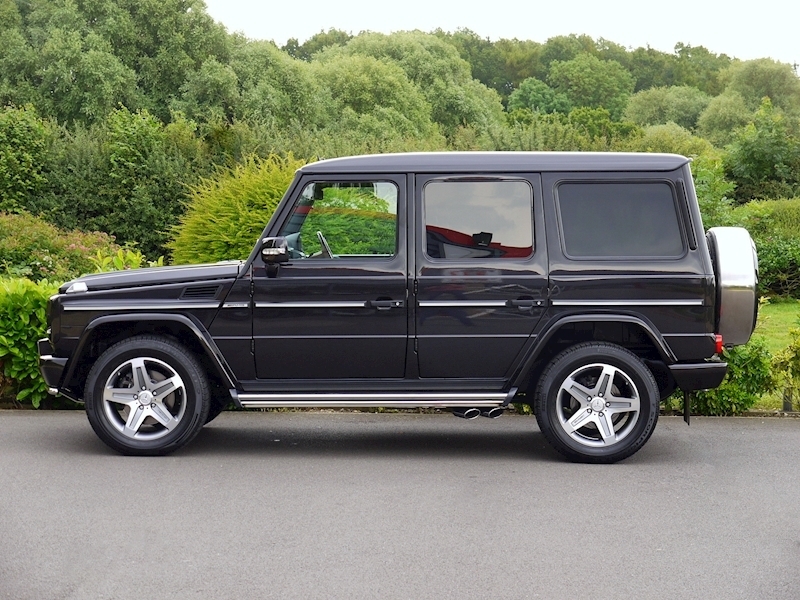 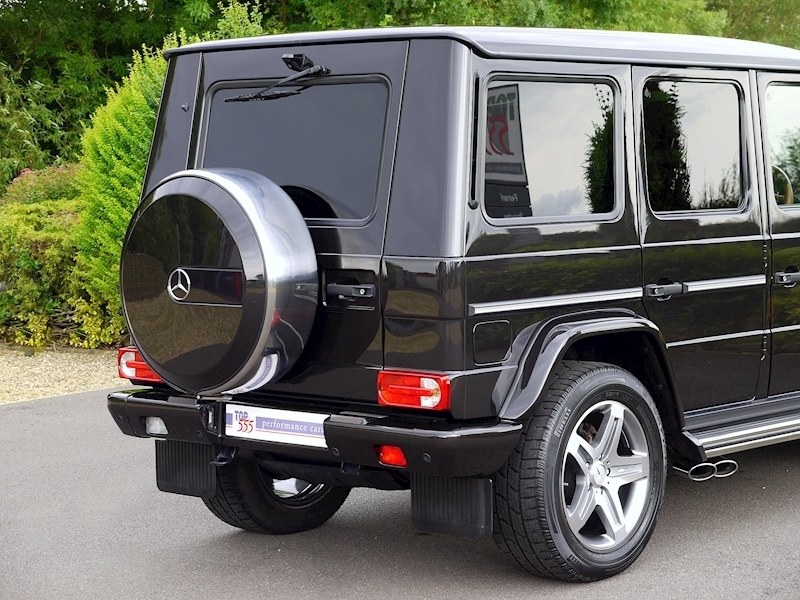 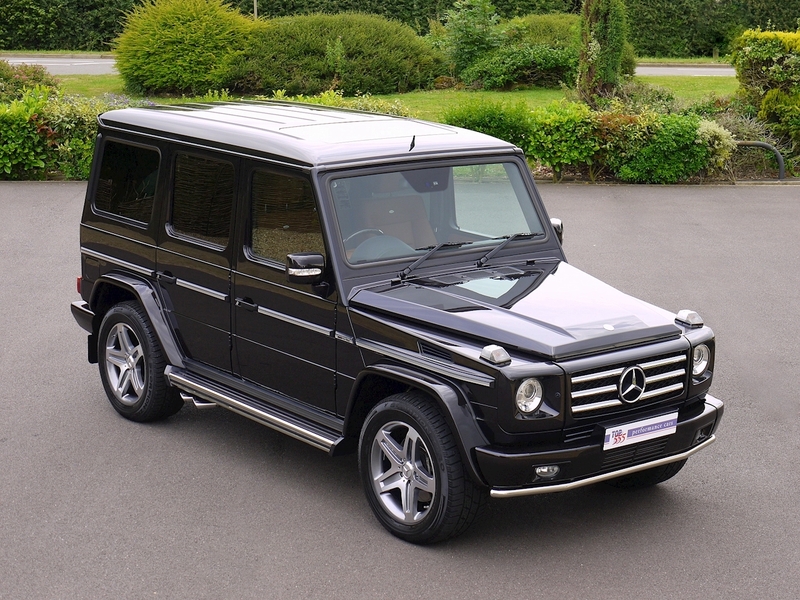 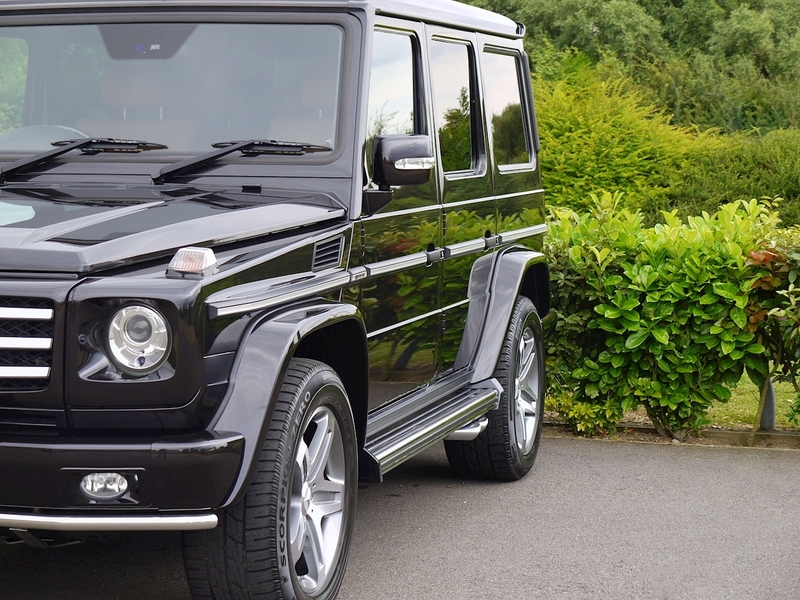 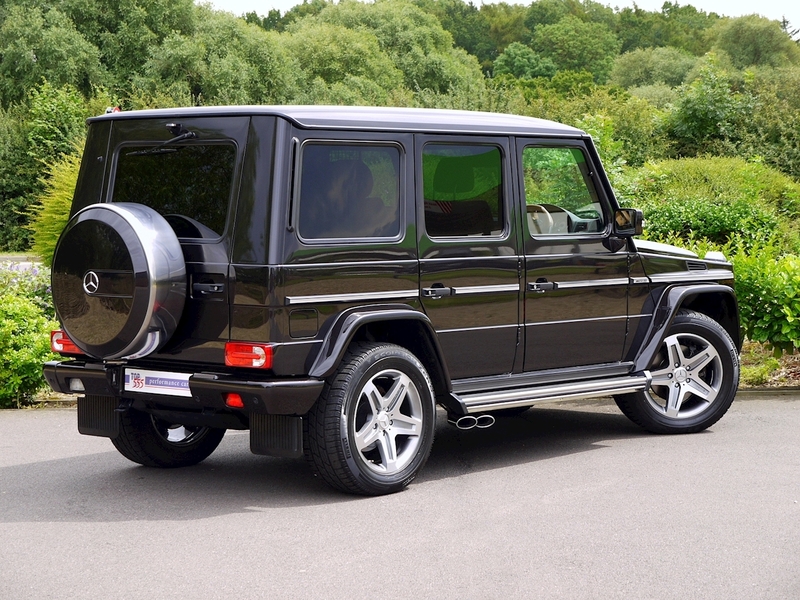 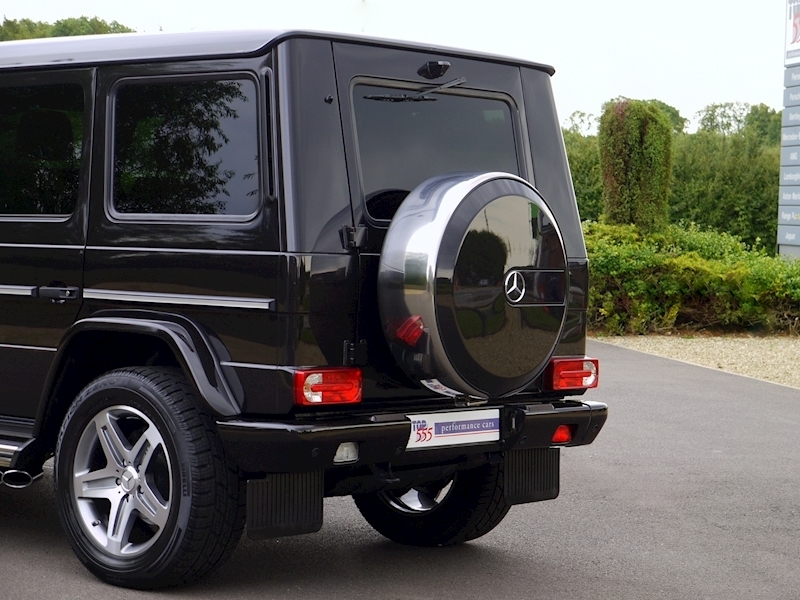 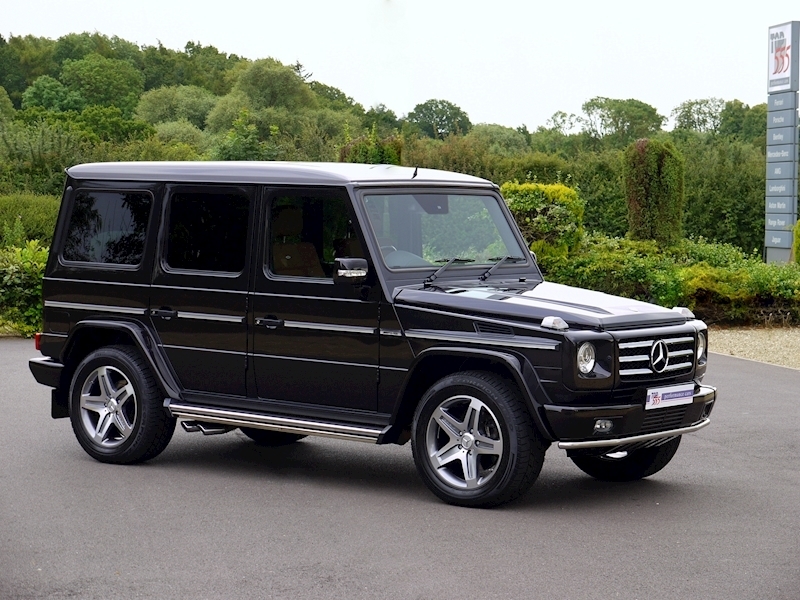 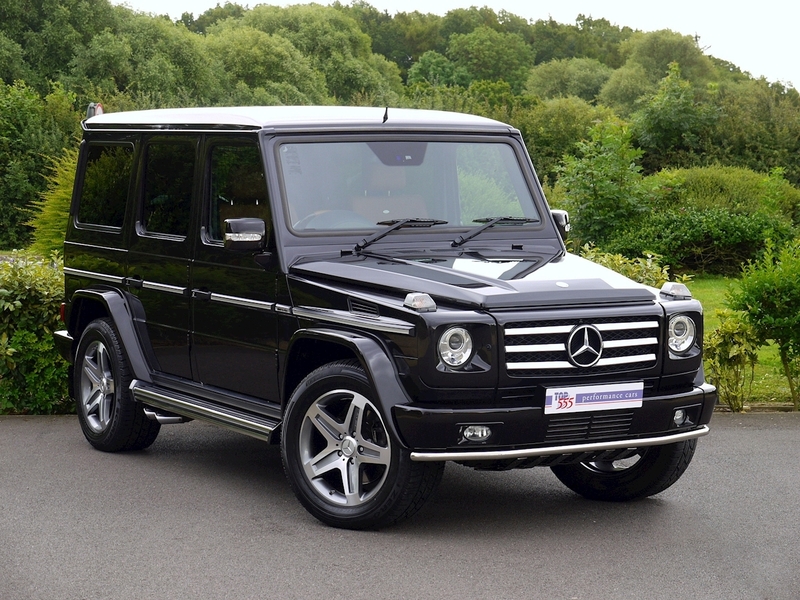 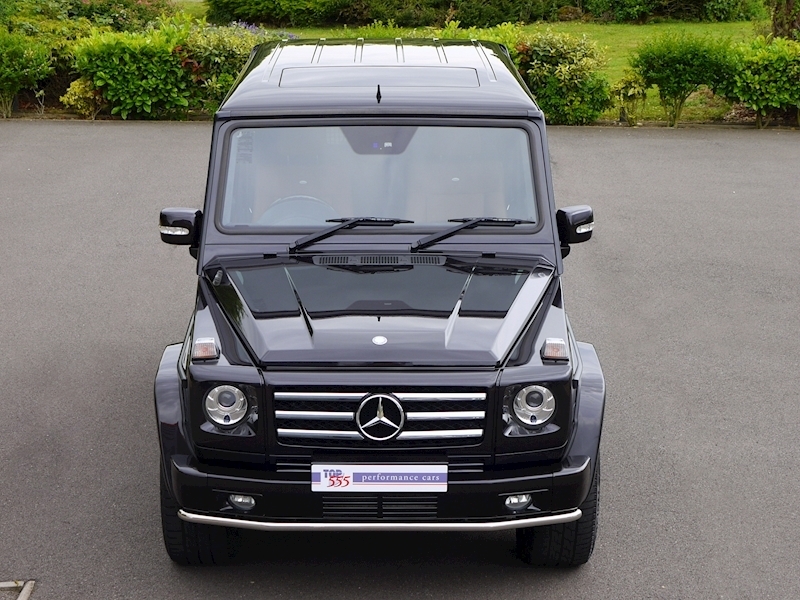 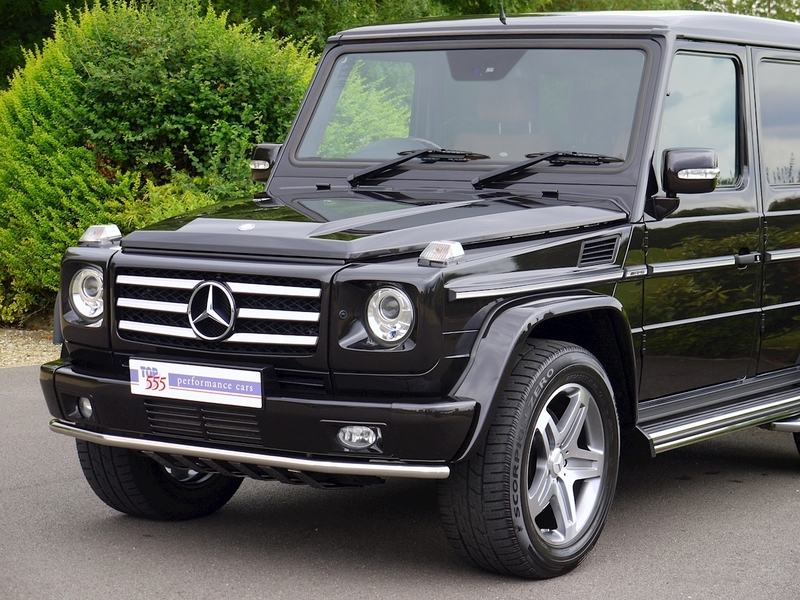 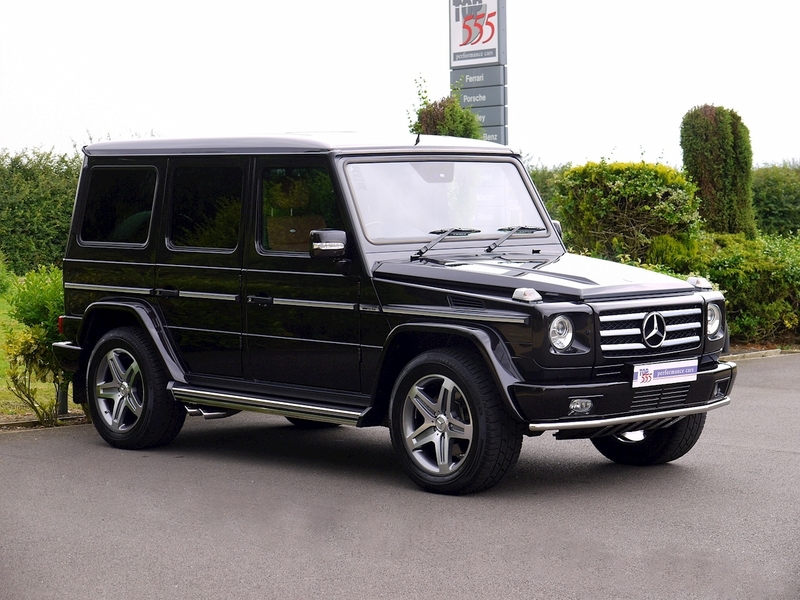 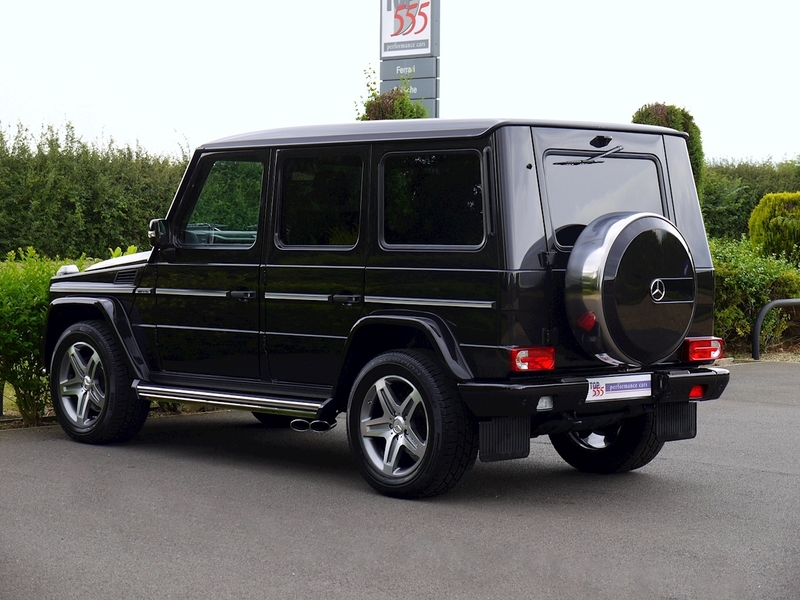 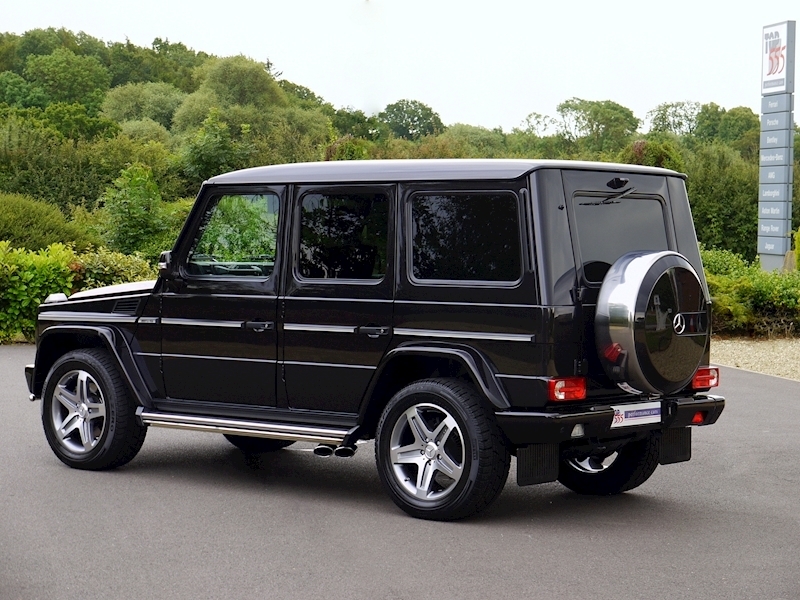 This Has To Be the Most Highly Specified, Original, Unmolested Example of a Mercedes G55 AMG Available Today. 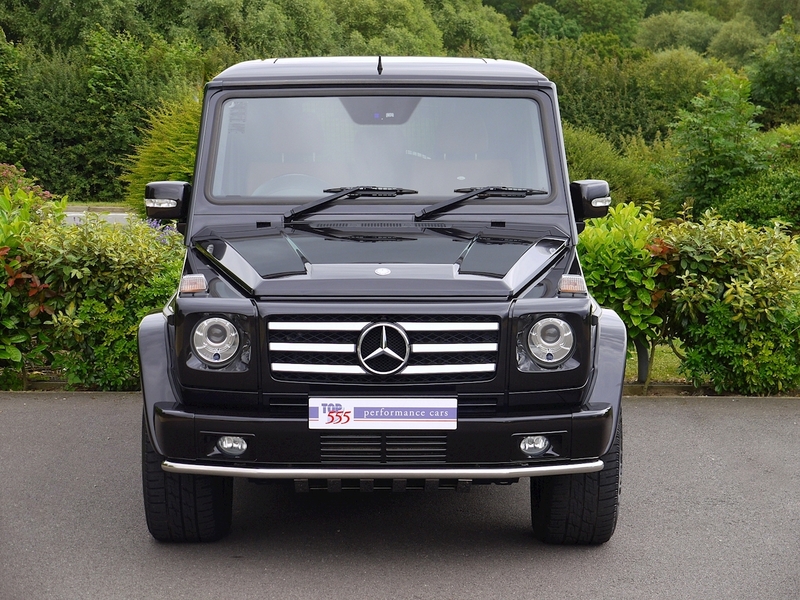 Available with Original Factory Invoice and Brochure.